This post raises awareness to what costs to expect when studying abroad, and what hidden costs there are that you should beware of. These are some great tips that can actually save you money! International students preparing to attend university in the US must consider their budget. Not only do the vast majority of international students pay for education out of personal and family funds, but in order to get a visa, international students also need to prove that they have the money to complete their education. So what do you need to consider when assessing the cost of studying abroad and what are the hidden costs? Tuition costs would typically range between $30,000-$50,000 a year depending on your school. 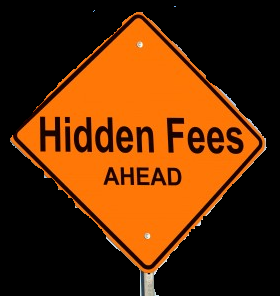 “International Student Fees” are added in many of the universities to “cover costs” of administrating international students. “International Student Fees” can range from $50 to $500. Another hidden cost is the need to purchase books—which can cost hundreds of dollars, depending on your field of study. Saving tips: While you cannot avoid the international student fees, sometimes you can find used books for some of the courses. They go for half the price of the new ones. Note that you may need some help from your classmates to get a few pages from the new book to make up what has changed since last year. Your cost for living will depend a lot on what city, town, and state you are going to study in. For example, A one bedroom apartment (a living-room and a bedroom) costs around $2,500 per month in New York City, $1,800 in San Francisco, $900 in Philadelphia, and $700 in Richmond. In addition to housing, a rough estimate should be $18,000/year ($1,500/Month) just for everyday expenses. If you come with a spouse or with kids, add $7,000 for each additional person annually. Apartments: If you live ON CAMPUS (dorms), in some schools you have to pay extra to stay in your dorm during semester breaks. In some schools you even need to move out and can only get back into your dorm after the break. Check it out before you move in to prevent unpleasant surprises. If you live OFF-CAMPUS, don’t forget to calculate transportation costs, and to budget for furniture and utilities. In the US, most rentals include city fees and other fees, but not electricity. Most apartments come with basic appliances, such as refrigerator, microwave, and oven, so at least you do not need to worry about those. Tax & tips: In the US you tip many people for many services. You tip waiters, barbers, taxi-drivers, delivery people and many others. In restaurants you should pay 15-20% of your bill as a tip. Another unexpected cost hides in taxes, which are usually not included in the prices in stores. This might be annoying, and also hard to remember. You may be surprised when you get to the checkout counter and see that all of the products you are purchasing add up to a higher sum than you were expecting (in some states it is more than 10% of the price of the products). Saving tips: We have a few tips here for you. Sharing an apartment will obviously reduce your costs. You can (and probably should) also negotiate the price with your landlord. Buying a bike will probably be cheaper than paying for public transportation (but tie them up well!). Use craigslist to buy second hand furniture (but make sure they don’t have bedbugs!). As to tax and tips, when budgeting for your time in the US, remember to add 10-20% of what you expect to spend monthly for these costs to make sure that you have enough funding for your adventure abroad. Health care is extremely costly in the US. Most schools will force you to have their—or an equivalent—health care insurance. You will need to pay for it. And even if the school does not force you to have health insurance, YOU MUST HAVE IT. Really. Responsible people don’t take THIS risk. Without insurance you can easily pay thousands of dollars for a short visit to the Emergency Room even after the most minor bike or car accident. Even when you do have health insurance (and please do), your insurance would most likely not cover the full cost of doctor's appointments, and will almost never cover health issues with your eyes and teeth. Costs of doctor’s appointments beyond what the insurance covers can be very expensive – sometimes more than $100 for a simple visit. Saving Tips: Read about the benefits included in your insurance policy to determine how much it can cover and how much to plan extra. Also, some credit cards from your home country may offer you health coverage for free/cheap at least for some time (at least for the beginning of your stay). Check them out and activate them as a backup. This area is an entire hidden cost, because it is a necessity and most people do not plan for it. Flights back home, communications, hosting when parents visit, you name it. Keeping in touch with your family and friends back home can get expensive. Thankfully, there are now cheap solutions to stay in touch and to access your favorite TV shows abroad. Make sure you understand how much each mode of communication costs so you are not surprised when you connect with your friends and family. Preparing for your study abroad experience and understanding the financial implications will make your time in the US much less stressful. Take these tips into account, enjoy your time abroad, and even save some money in the process! To study abroad is the dream to many. Opportunities like this are really encouraging. Thanks for sharing. That is the fact that students have to face lot of costs of their university. The recommendation letter for phd admission is required if you want to reduce your costs. You know, while you cannot avoid the international student fees, sometimes you can find used books for some of the courses. Contact also to cheap essay papers. This is a very nice list to keep in mind! Thank you for sharing)) I appreciate both the warnings and the tips on how to save money.